At IBI Ltd health and safety is considered of paramount importance. 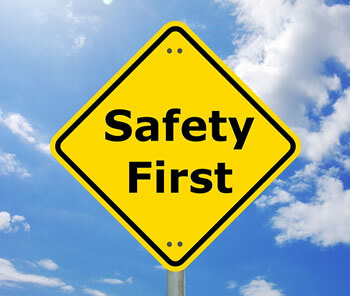 We are continually updating and improving our health and safety procedures. Through the excellence and dedication of our employees, the company strives to provide a service that is second to none. For your convenience we have provided downloads of all health and safety documents and in addition other important documents that you might require for your ease. If you require any further information then please do not hesitate to ask. With depots located in Bedfordshire, Essex, Hertfordshire and West Yorkshire we are able to rapidly respond to almost any UK destination, 24 hours a day with the highest level of service. Our sales department has over 30 years of technical conveyor belt expertise and we have built our reputation on customer satisfaction, something we will work hard to maintain. As a long established conveyor belt supplier with extensive stock, we are the only conveyor belt company that your business will ever need. Whether you require a site survey, maintenance or installation of our products, our experienced team will be on hand to assist you and our knowledgeable conveyor engineers will work to create components that are bespoke to your specific structure.